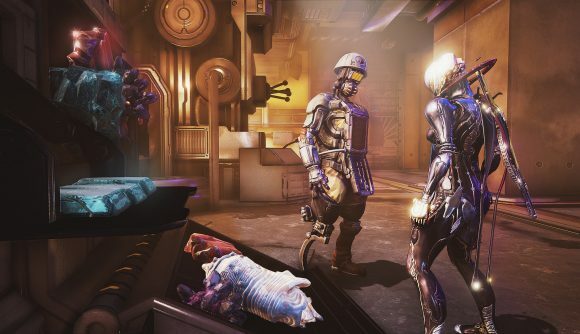 Warframe can be a daunting game to get in to, and not just because of all the different currencies and crafting materials to keep track of – over the years, its players have developed an unwritten system of etiquette that helps keep the action flowing and your fellow space ninjas happy. 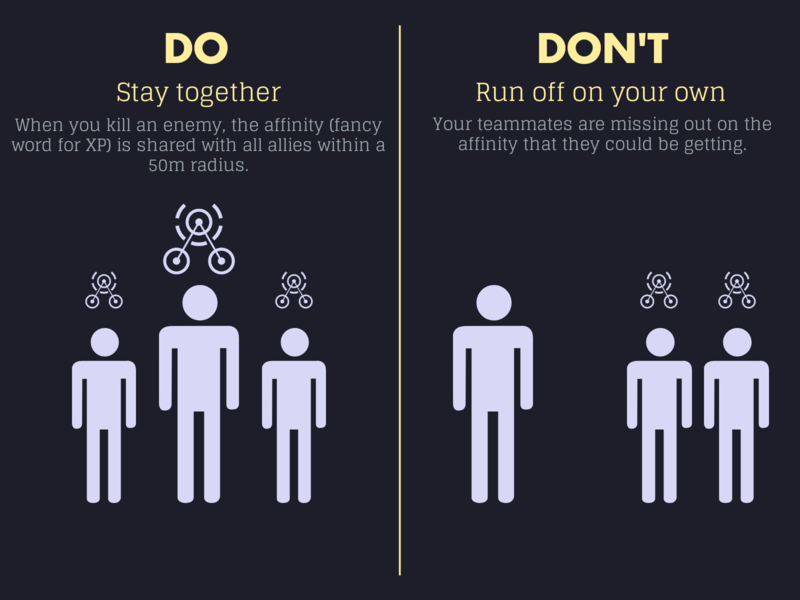 Helpfully, one player has developed a handy, easy-to-read beginner’s guide to Tenno etiquette. It ranges from some common-sense courtesy tips – like don’t hit the elevator button until everyone’s in, because honestly, come on, who does that – to some more esoteric points about highlighting rare resources and using emotes. The guide is presented in ‘Do versus Don’t’ format, so it’s a bit like a Goofus and Gallant cartoon for space ninjas. For example, the guide says DO bullet jump, which lets you vault forward if you hit the jump button while sliding. But DON’T just sprint. “Why would you run around when you can basically fly,” the guide observes dryly. You can review the full guide on imgur, right here. But let’s look at a couple more highlights, shall we? You see this a lot in Warframe – players will dash around on their own, sometimes following their own objectives like tracking down specific enemies for Cephalon Simaris, for example. 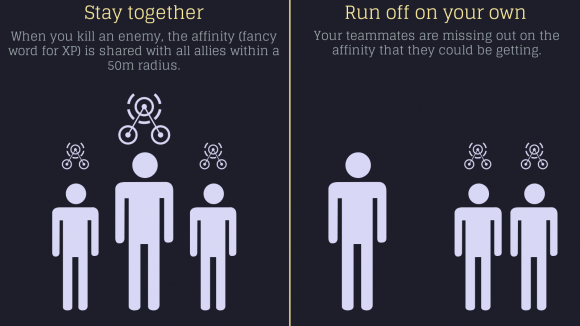 But it’s much more beneficial for parties to stick close to each other in missions, because if you’re within 50 meters of each other, the affinity each player gets from killing enemies is shared with the group. 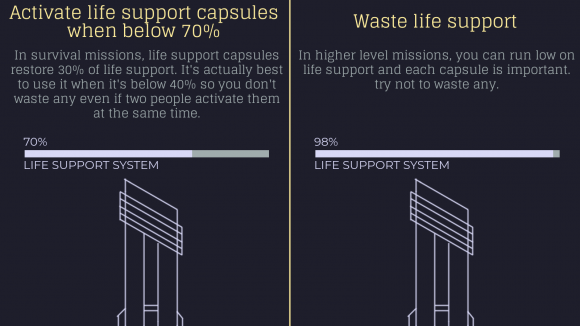 During survival missions, it’s tempting to dash to the next life support drop and activate it, but as you get into higher-level encounters, it becomes crucially important to manage the timing so you don’t wind up wasting oxygen. 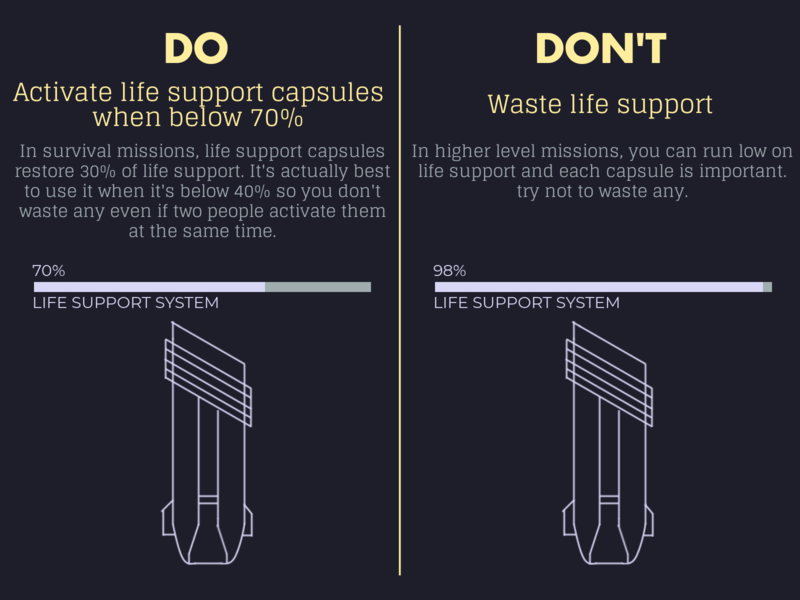 As the guide says, wait until the life support level is down to around 40%, since that way you won’t waste a capsule, which restores 30%, even if two players activate capsules at the same time. There are other great tips, too – such as how to courteously choose rewards after void fissure missions, or when to bank points in the Index (it’s 15, because that’s when you get the best points-to-bonus ratio). Give it a look if you’re just getting into Warframe – or hey, even if you’re a practiced hand with interplanetary parkour.